WELCOME TO THE CARDMAKER AND GLUE DOTS BLOG HOP! Hi everyone! 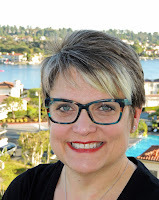 Thanks for stopping by my blog today for the CardMaker Blog Hop! I have made this cute combination card and party favor for my daughter's Halloween party at school. 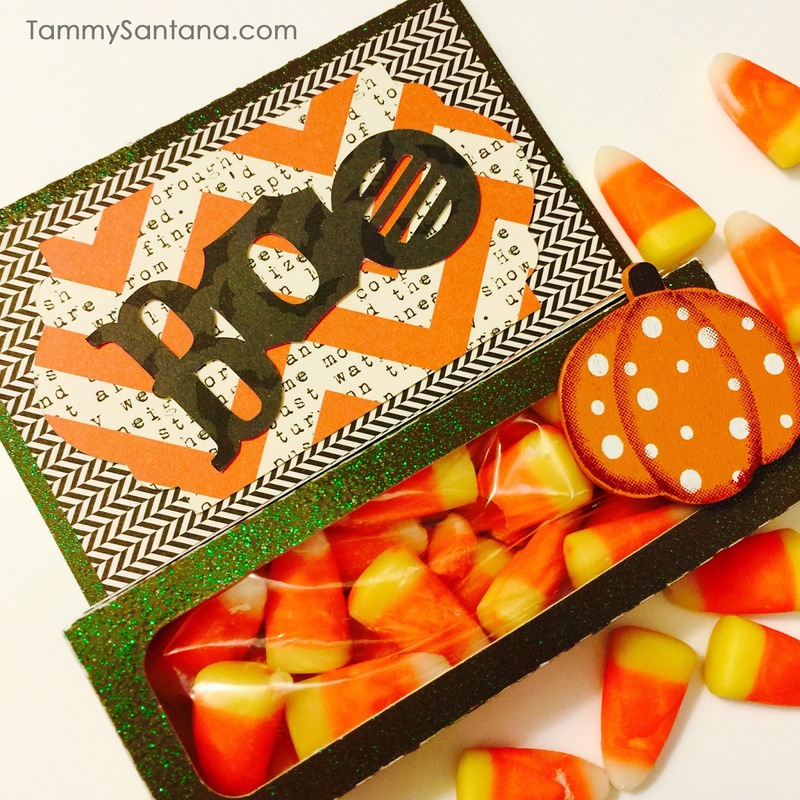 Since it is both a card and party favor the two won't get separated during handing out the candy. Make sure you check out all of the talented designers participating in the hop at the bottom of the page and don't forget to sign up for the Glue Dots giveaway! Cut out pieces using a Silhouette machine and cutting file from the Silhouette Design Store. 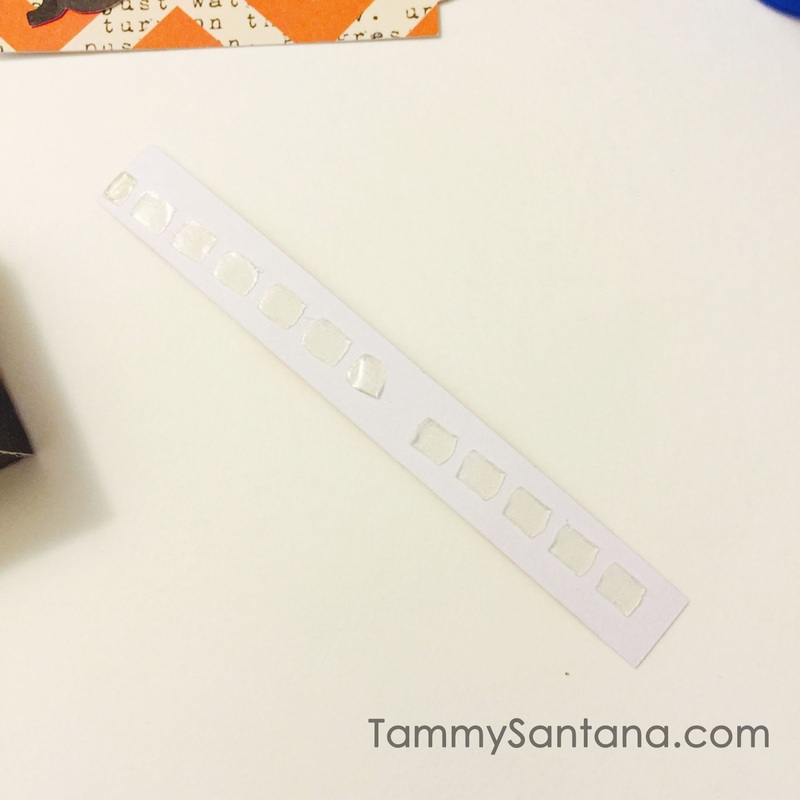 Use Glue Dots Glue Squares to attach pieces together. 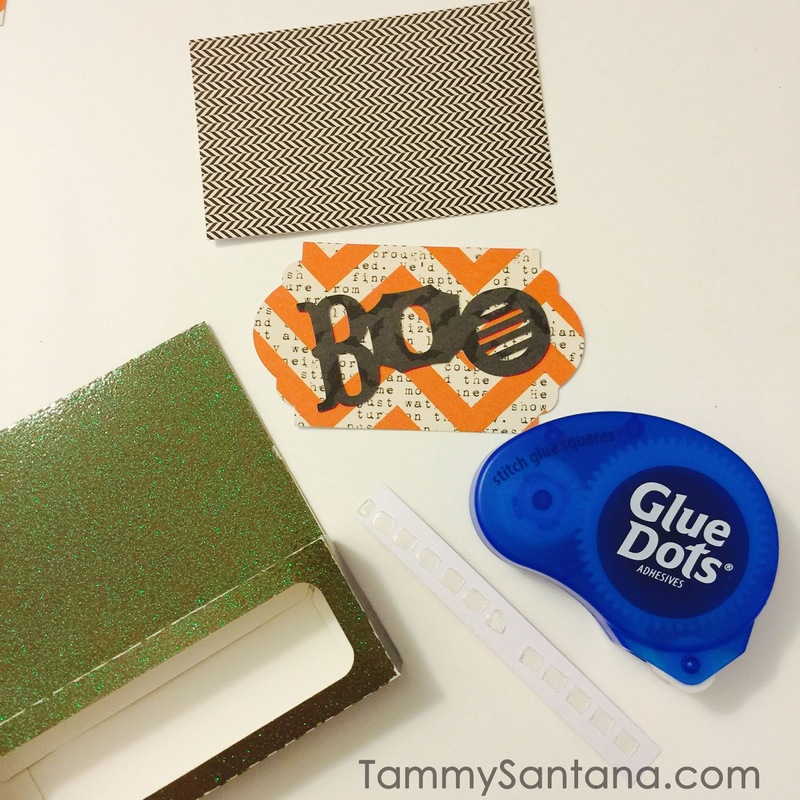 Use Glue Dots Glue Squares to adhere the pumpkin embellishment to the outside of the box. Fill the plastic bag with candy and place it inside the container. That's it, how cute is this!?! I know the kids are going to love them at my daughter's Halloween party at school. Please check out all of the other fabulous projects from the talented designers participating in this CardMaker blog hop!! I love the dual purpose card and candy gift. This would make a great treat to give away to a classroom full of kids. Love your cute treat holder. This is such a great idea and oh so cute! My kids would love to make these! Very cute, great ideas, and spooktacular! What a great box shape, I am going to have to make that one. The guys in my family enjoy candy corn...pass me chocolate or starburst! haha...but I just might make this for them!! I like that it is a card and treat in one. What a fun treat/card box! How fun to give and receive it! Filled with the best Halloween candy! of the box and the corn. 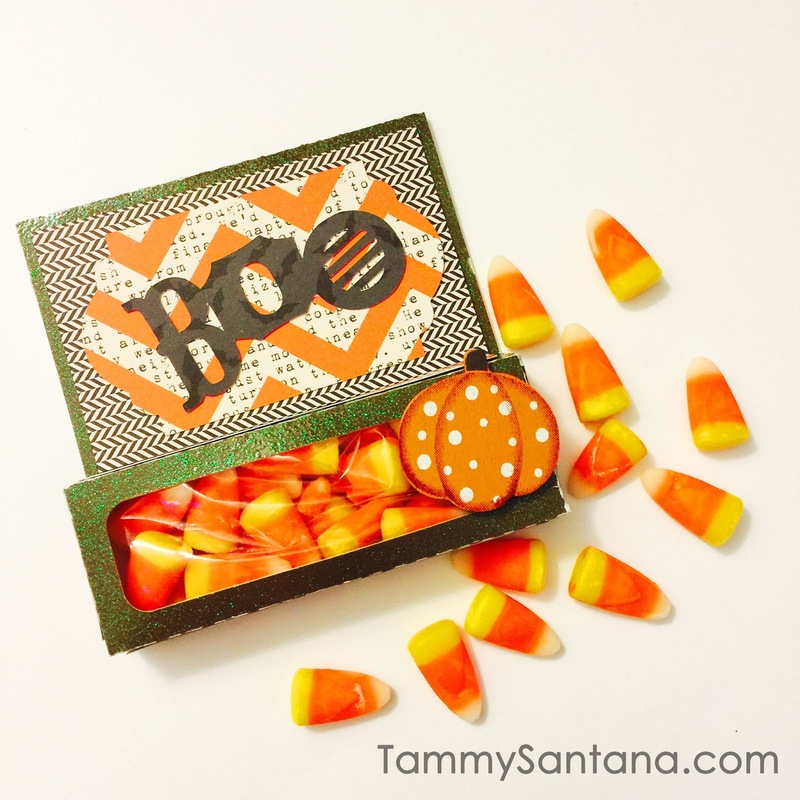 Cute way to give candy corn.